Time for another link up with Gretch and I! We hope you will link up with us and let us know what's going on in your world! All that we ask is that you link back to us somewhere in your post. As for me, I'll be doing another monthly recap - May was a doozy, but then also relaxing somehow. We had a lot going on, so I really made sure to relax and do nothing in between all of the crazy. May kicks off with a bang here in KY! 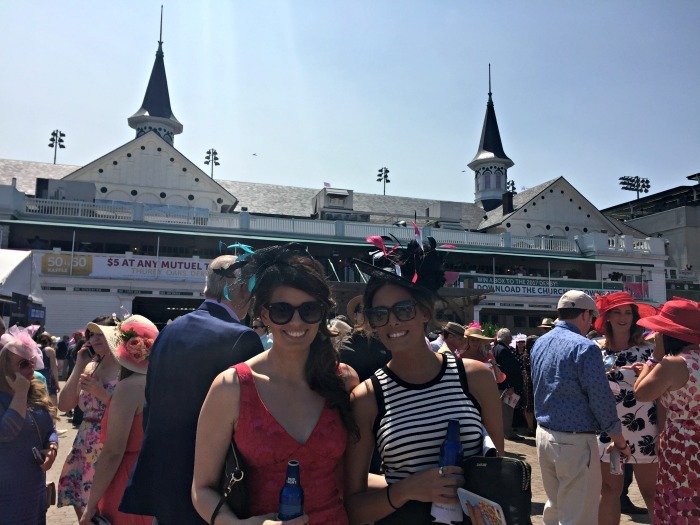 May brings Derby, and Oaks which is what we attended this year. 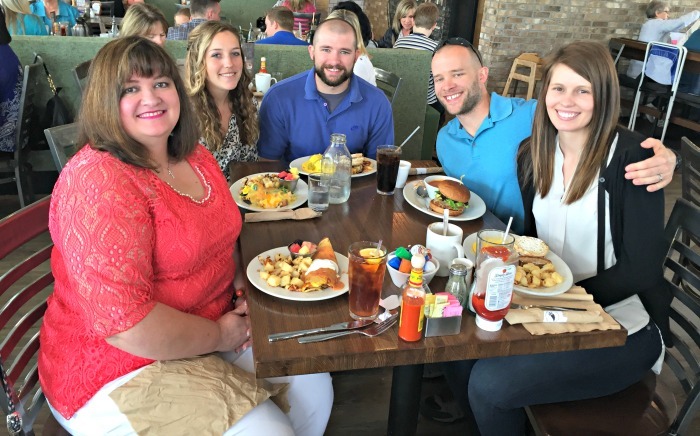 We went out to brunch for mothers day with my in laws. 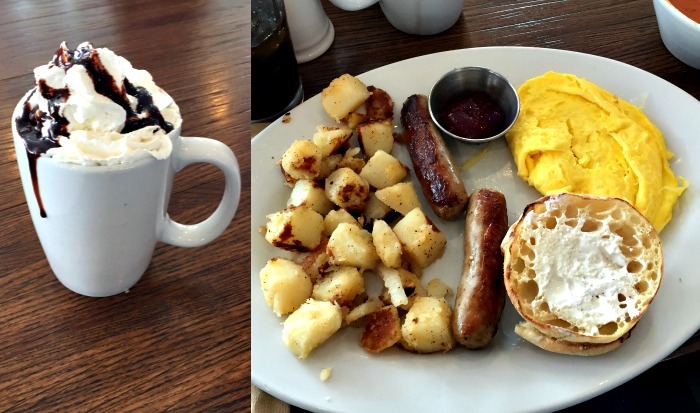 We tried a new place and the food was okay - but the hot choccie stole the show for sure. We were supposed to have a girls night (dinner and drinks) the following week, but it ended up just being 2 of us because one went out of town and the other had a very sick baby. 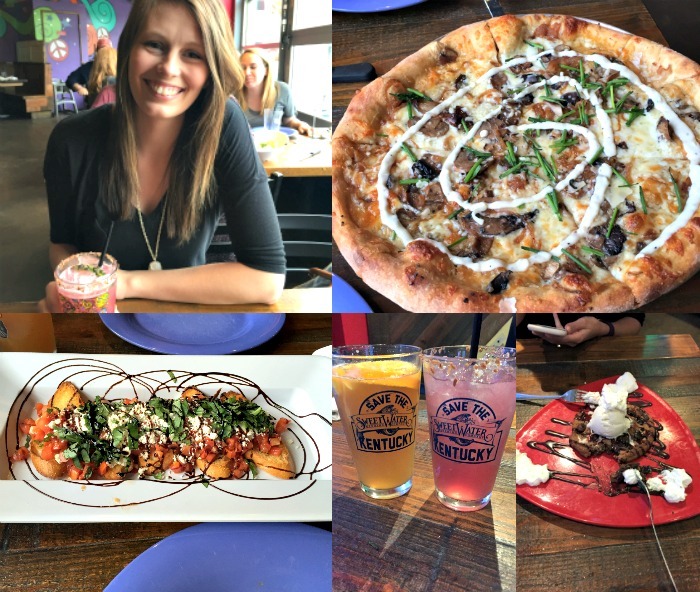 We still had a great time, of course, how can you not with pizza, cocktails and brownies? Then the next weekend, we had a bachelorette party. Which turned into all sorts of crazy and insane that I can't even begin to explain because it's just weird. It wasn't normal bachelorette party crazy either, it was just plain weird. It was a good night until then though. Finally after all that, what I had been waiting all month 6 years for - Kenny Chesney. Fun story: I bought tickets (and flights/hotel) for the CMA fest back in 2010 before they announced the 'guests' thinking of course Kenny Chesney would be there. Because he was always there. Guess who took his first summer off in like 75 years? Okay it wasn't that long, but still. After that, I figured well heck now I live in the same country, it will be much easier to see him (I don't think he's ever been to Oz?).... but every time he came to KY, I was out of town or otherwise engaged. Blah. Finally I was like screw this, I'm going. And I went. And it was amazing. Absolutely amazing. My fitbit thought I was playing sport, that's how into it I was, and I am not ashamed even a little. Of course, we have some cat pictures... I'm honestly surprised I have anything on my phone other than cat pictures. 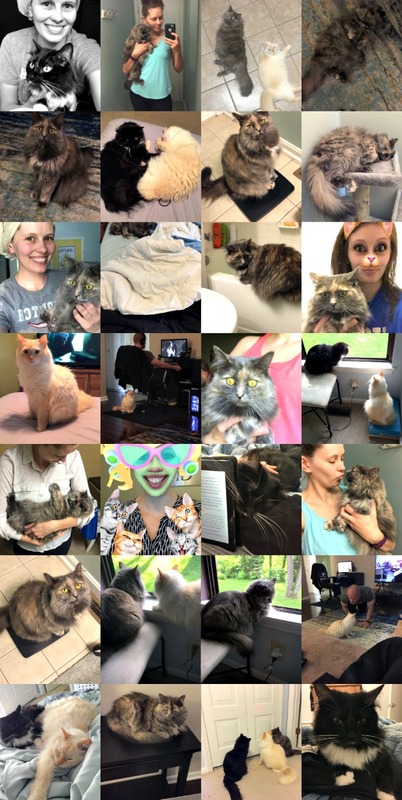 It's a lot of the same - cats on the floor, Millie on the scale, cats on the bed, cats looking out at the window, etc etc. Naturally, some food pictures and subsequent workout snaps.. I only exercise so I can live longer and eat more food. And miscellaneous stuff that I want to share. We ended the month with a Memorial Day BBQ where I had my first s'more (made by a child). I tell you what - I am looking forward to our cruise (about 2 weeks away!) for all the relaxing, eating and drinking I am going to do. Oh, and of course I will pay attention to my surroundings and new places etc etc. But mainly food, drink and being lazy. It looks like May was an awesome month! I'm glad you finally got to see Kenny Chesney ... It's always such a great feeling to see a musician live that you've been dying to see forever! 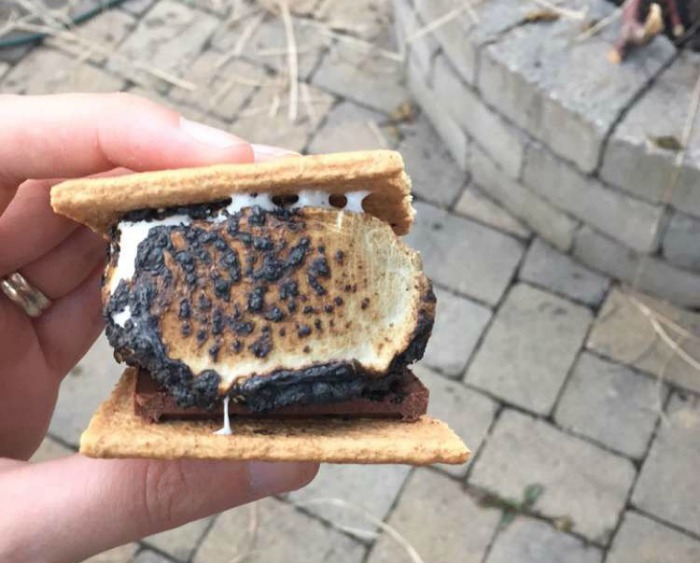 I can't believe you'd never tried a s'more before! I had one recently as well (definitely not my first, though! ), and I'd forgotten how delicious they are. Mmmm. I need to get back into a workout groove. I was doing pretty well, but then I just sort of fell off the wagon. I'm planning to try to do something active every day this month, but we'll see how that goes. Haha. Yay for finally seeing Kenny Chesney! Lady, you looked SMOKING at the bachelorette party-that dress is amazing on you (also, I'm super curious about the weirdness)! That hot chocolate looks amazing, and so do those tacos! So, you know I like music and concerts. But, guess what...I couldn't name one song that Kenny Chesney sings. hahahaha! And, I know he is HUGELY popular. That lacy outfit at the bachelorette party?!? Hello, hottie!!! That chocolate really does look amazing! More so because I'm currently counting calories on My Fitness Pal again and if I actually want three meals a day I definitely can't include hot chocolate ;-) I clearly need to get into working out. But ugh... I hate exercising even more than I love hot chocolate and cheese! I, too, only exercise so I can eat more food. It's a good sign when your Fitbit thinks you're exercising - it did that for me at The Cat Empire concert! Turns out jumping around like a mad person burns a surprising amount of calories. I think I should go see live music more often. Also that lace dress/romper? is so cool. You look great in it! Loving all the cat pictures as ever, and I've never had a smore either. Are they as good as they look? All that food looks so good! I want some fresh pizza. Hahaha I have about a million cat pictures on my phone, too. I take more of the same picture of them than I do myself, trying to get the right angle. Is that chickpeas I see? I had some coconut curry the other day and it made me want more curry. Wow, you had a pretty busy month! I love country music--I bet that Kenny Chesney concert was awesome! Love the life lately! Good for you for finally seeing Kenny live! 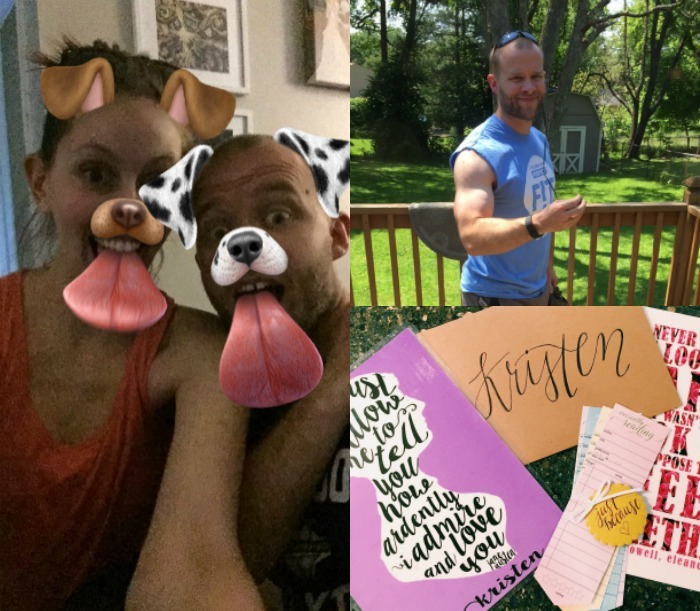 No one ever wants to do the Snapchat filters with me--not even the little girls I nanny for. I wanted s'mores in MExico and they had no idea what I was talking about. I figured out thanks to Google!! Your *first* s'more? Insane! I make a meal of s'mores in the summer. Kenny Chesney kind of drives me nuts but that concert does look like fun. I really like your friend's outfit lol. And I'm shocked that there's anything but dog pics on my phone. You did have a busy month! Glad you finally got to see Kenny. He does put on an awesome show, doesn't he? He's really quite the entertainer. What did you think of the s'more? LOL @ the first gym photo. That would totally be MFD's face too if I had him take the same photo. I'm not a huge s'mores fan, but they hit the spot every once in a while. 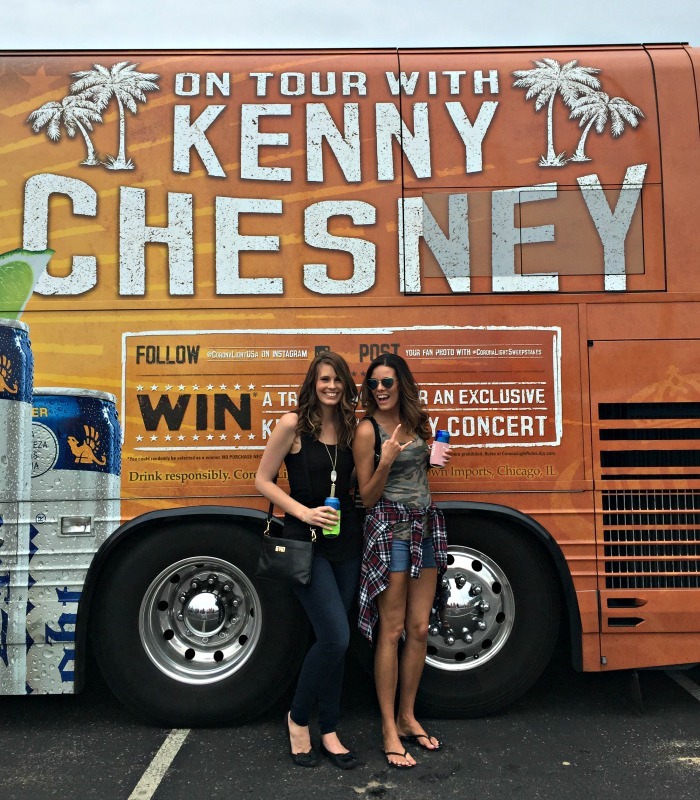 The picture of you and your BFF in front of the tour bus is a framer! I was so jealous when I saw on Snapchat that you were at a Kenny Chesney concert! Was it everything that you hoped for and more? I've always wanted to see him live. I want to hear more about the bachelorette craziness - that's why we rarely go out anymore because something downright strange just always happens. Glad you're doing well, friend! You had soooo much fun stuff this month! You and your friends are so dang pretty. You probably get a lot of people stopping and staring at you all anywhere you go, which probably caused the Bachelorette Party drama...am I right? Loooove your outfit at the bachelorette party! I can only imagine (or maybe I can't? haha) the weirdness! 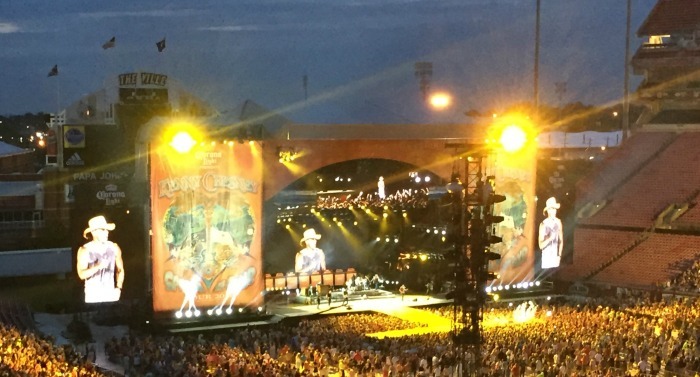 The Kenny Chesney concert sounds like it was so much fun-- so cool you were finally able to see him! Love all of the cat pictures, workout pics, and of course food pics! And hoooray for your first s'more! I can probably eat an entire bag of toasted marshmallows-- it's bad! One year I kept making them in the oven because I was that desperate, haha. I'm seeing Kenny here in Pittsburgh 4th of july weekend!! It will be my 3rd time seeing him, he's amazing live, isn't he?! I can't wait!! Of course I love all the kitty pictures! Love the one of the three of them siting at the door. Ha! My cats do that all the time--closed doors are just not allowed! I'm not a Kenny (or country) fan BUT my favorite musicians right now are from Australia! I've been listening to Courtney Barnett nonstop. Love her album so much! Also listening to King Gizzard and the Wizard Lizard, which is a bit wacky. 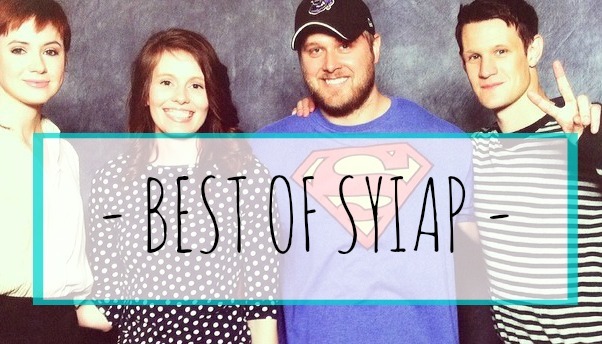 :) Thanks for hosting the linkup! You had such a busy May! I still think that you looked so pretty for Oaks, and I loved your dress for the bachelorette party! I can't believe that you'd never had a smore before, but hopefully your life is changed for the better now! And we totally have the same thought process on working out, I work out so I can eat all the amazing foods! I've never been to a country concert, but I would LOVE to see Kenny Chesney! All the country concerts around here seem way more about tailgating & getting trashed than enjoying the show. Which, I want to have a drink or two, but not be sloppy. LOVE that tank with all the male characters from Jane Austen novels. So cute! :) Glad you had a fabulous May. PS. I'm jealous of your cruise. Like MEGA jealous. Girl, looks like you had a great month! I can't wait to live vicariously through your cruise. And now I need a s'more! I need to start working out so I can eat more too, because right now - I just eat. :) So glad you finally got to see Kenny Chesney. I'm not a country music lover but I've heard great things about his concerts. Glad it lived up to expectations. And cat pictures. Always my fave! I bet the Kenny Chesney concert was amazing! Looks like a lot of fun. 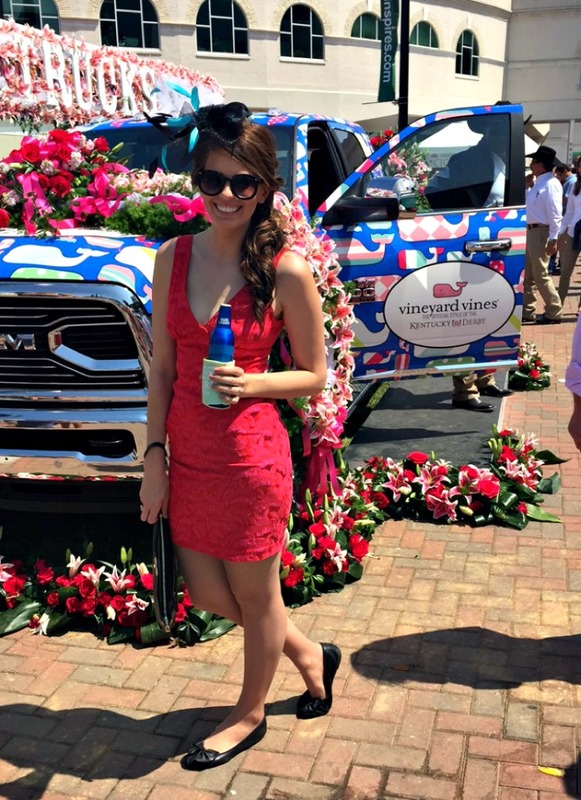 Love your dress for the Derby! S'mores are the best. I'm so happy you finally got one! The cat lady snapchat filter was my favorite. Also, your blue lace romper is the outfit my dreams are made of but I'm neither cool enough nor tiny enough to pull it off. You look great! So much fun goings-on! Where are you cruising to??? I love your outfit from the bachelorette party- it's super cute! I'm also a big fan of your workout outfits! That is seriously the most beautiful smore I've ever seen. I want one like right now... and some of that pizza haha. And I bet Kenny Chesney would be amazing in concert! Country concerts are my absolute favorite. Give me that hot chocolate, tacos, and that brownie and that smores please!!!! Cant believe you never had a smore before?!?! I could just sit and eat toasted marshmallows all day long. And look at your in that blue lace dress you wore the the bachelorette party! Drop dead gorgeous!!!!!!!! I love Kenny Chesney and your hair looked so pretty that day! I bet you are totally excited for your cruise! Already know what you are packing? Fun month! I honestly can't remember much about my month -- it flew by. End of school activities, basically no running, ate too much, and that's about it for me. Impressive s'more! I'm not a fan of marshmallows so my s'mores are graham cracker/chocolate sandwiches. I phone is filled with cat and food pictures too! The important things in life, right?? Sounds like you had a great month! 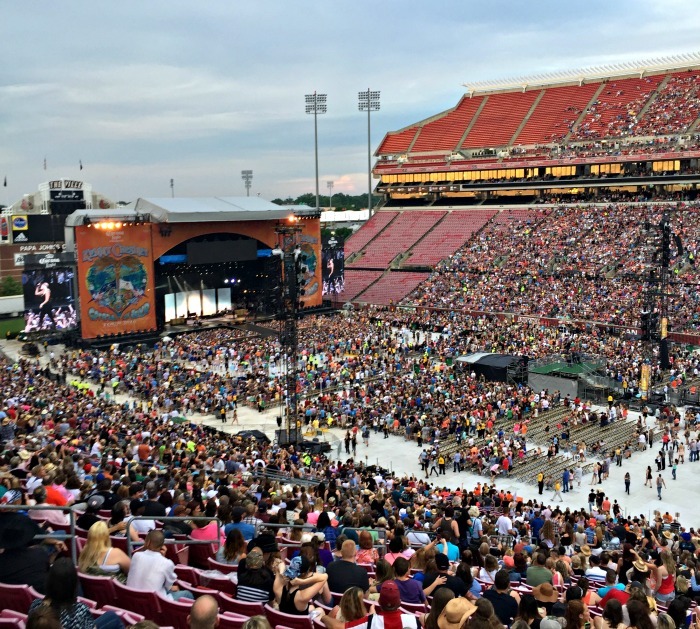 I had a friend that was supposed to go to the Kenny concert, but said the traffic was so bad they couldn't get in...Glad you had a great time though! He's on my bucket list of concerts! Wow, you had such a fun month! I can't believe Kenny took off! We were wanting to go to CMA fest too, but I don't think we'll make it this year. I'm counting on next year though! Lol, the bachelorette party just got weird- too funny. Love all the animal selfies! Sounds like a pretty awesome May! I'm über curious though, what made the bachelorette so awkward/weird at the end?? Also, still can't believe you've never had a s'more! Did you love it at least!? Your first s'more! You have really been missing out! It's not summer without a s'more for me. Sounds like May was a big ol' party for you! Glad you had such a fun month! Ahhh you got to see Kenny? JEALOUS!!! Looks like a great month! That breakfast was just okay? Looks pretty dang good to me :) I love your bachelorette outfit and I want to hear why the night went weird, dangit! ha. I wish some stories could be posted online. 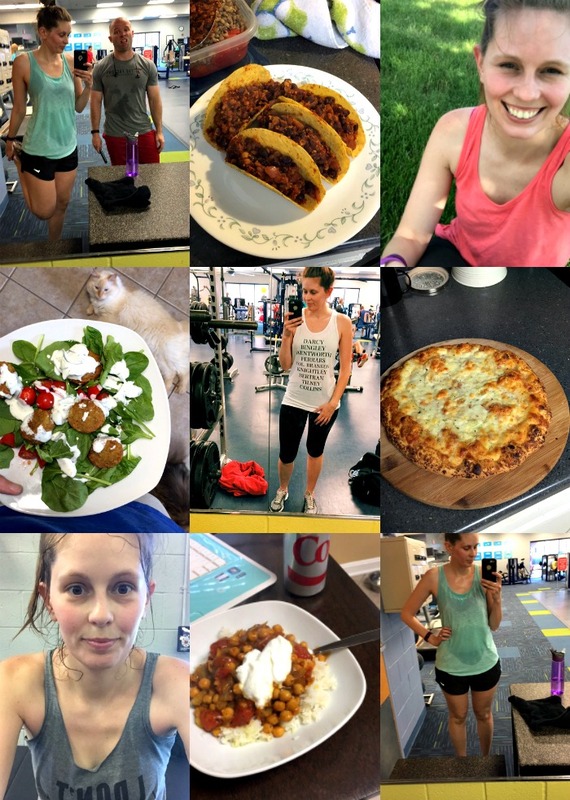 Love all the cat pics and working out pics + food. What life is really all about. yay cruise time soon! 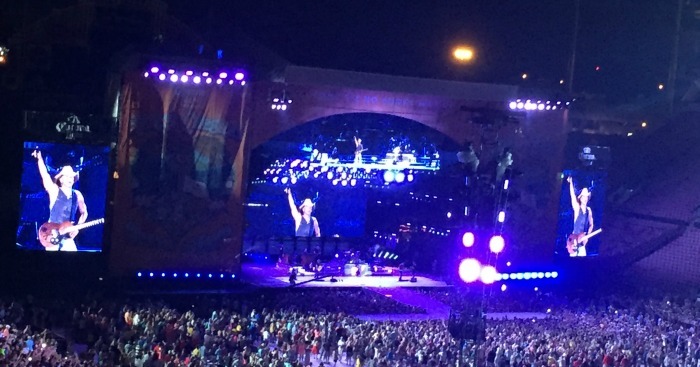 and from oaks to kenny chesney and everything in between - what an awesome month indeed! your outfit for said weird bachelorette party was at least cute - even if it was weird which now i'm curious to know more haha. love your fur babies! Looks like you had TONS of fun last month! I may be a little jealous of the Kenny Chesney concert :) I love the dress you wore for the Oaks and the romper from the Bachelorette party pics BTW! Can I just be you for a day?! The derby hat! The food! The concert! Your cats! You are having too much fun friend! Oh girl you had a crazy busy month! Looks like it was mostly all awesome and fun and exciting though. I haven't had a s'more in yeaaaars but that looks so good! Also what the hell happened at that bachelorette party?! FIRST: I NEED to know how you felt about the s'more. This is important. Also I want that hot chocolate. And the pizza. And the brownie. And the drinks. 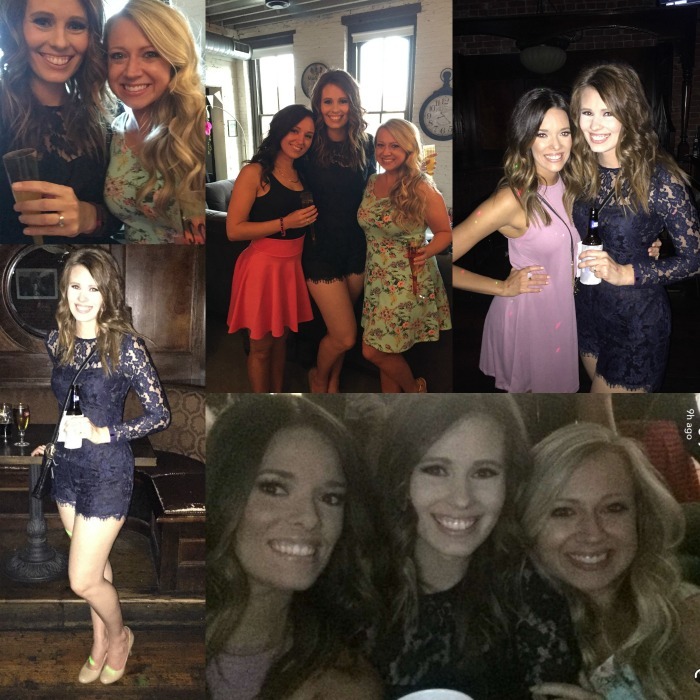 And your hair/makeup/romper for the bachelorette party are all perfection. I never knew I needed a lace long-sleeved romper, but I do, I really really do. All of the food looks amazing! Where did you guys go to brunch? We're always up for new brunch places in the area... You look so great in all of the pics, girl! 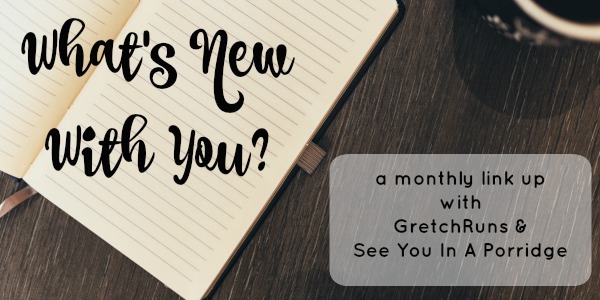 What a fun month you had! That looks like the best smore ever made!!! So glad you finally got to see Kenny Chesney. Aww I enjoyed the pics on this post so much. Yay you for finally getting to see Kenny Chesney! Looks so fun. That smore still looks delicious (and I stull havent had one). 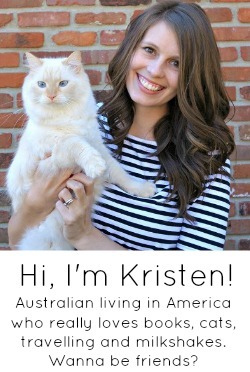 Love the cat pics too..
Looks like you had one fantastical month, lady! I want to hear more about the weird party, spill spill! Gimme that smote and woohoo to Kenny. He always puts on a great show, LOVE HIM! 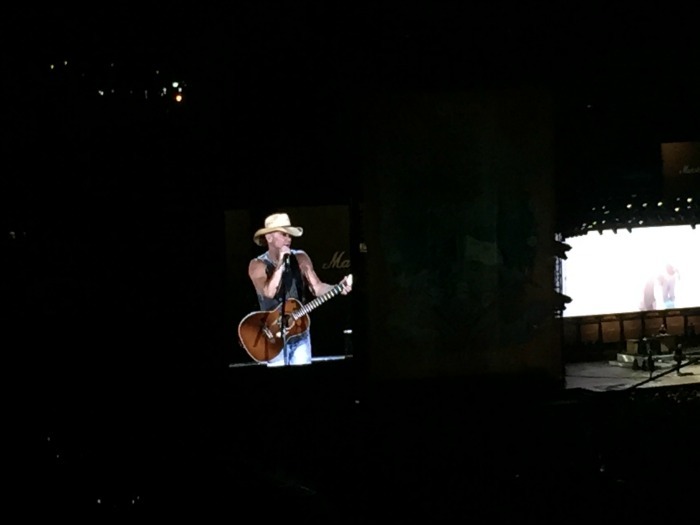 I saw Kenny Chesney when he toured with Tim McGraw and it was amazing! He's such a great performer! What a fun month you had!! The derby looked like so much fun and I want to see Kenny Chesney so bad! I heard hes amazing in concert! Um, you squeezed SO much into May! What an awesome month! Meanwhile I'm sitting here wondering what I actually did, haha! Hahaha All the cat photos! I love it. Your cats are actually entertaining on snapchat. Always cracking me up. You in that hat is just hilariously cute. I don't have words to explain it. Can we bring back fancy hats, please? Glad you finally got to see Kenny! Umm pretty fabulous month I'd say! You at the derby = absolute perfection! Have a great weekend girl! May was quite a fun month for you. I am not even a fan of smores but that one you had looks really good. Did you like it? Ok, I'm deathly allergic to cats but I'm so in love with Millie. She is so adorable. Looks like an awesome month for you!! And I'm glad you finally got to try a s'more! Some people like Reese's cups in theirs instead of the hershey bar, but I'm a purist, so I prefer the bar. So jealous you're going on a cruise! Can't wait to hear all about it. How cute are you in your Derby garb? I love that! I love the derby festivities - such fun! 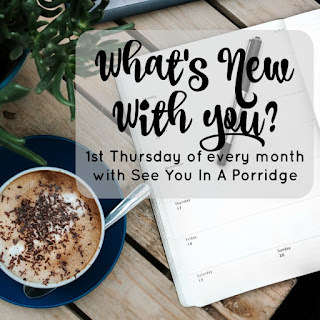 What a fun month you had! I love Kenny Chesney concerts (I'm due for another one). I can't believe you just had your first s'more!!! I hope you loved it. They're so good! What did you think of your first s'more?! And can I be nosy and ask about the bachelorette party? My phone is mostly puppy photos (or it was - now I'll have to start over and take new ones). I so love your Oaks dress! I was going to ask about how you liked the s'mores and why the bach party was weird too. 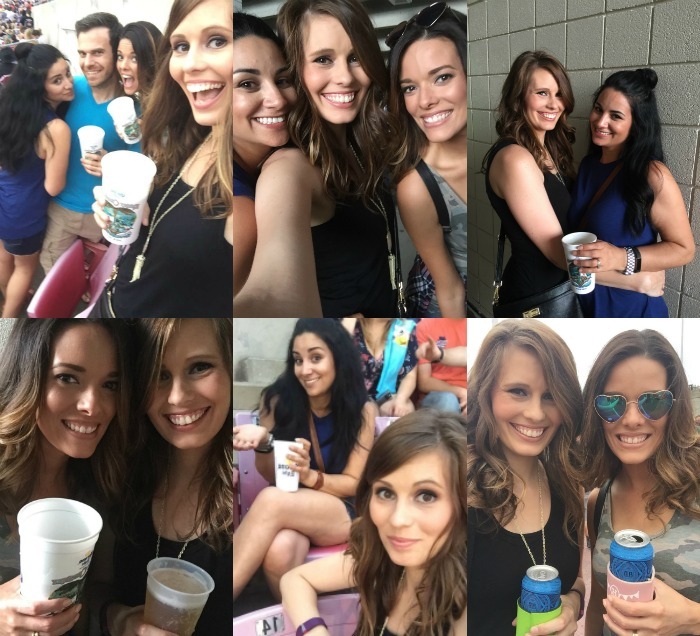 So happy you (finally) got to see Kenny Chesney in concert- yay! My phone has mostly food pics... only the important things here lol! Ooooh yay for vacation cruises- where are you headed? Yay for finally seeing Kenny! That's how I felt when I saw Backstreet Boys a couple of years ago! !